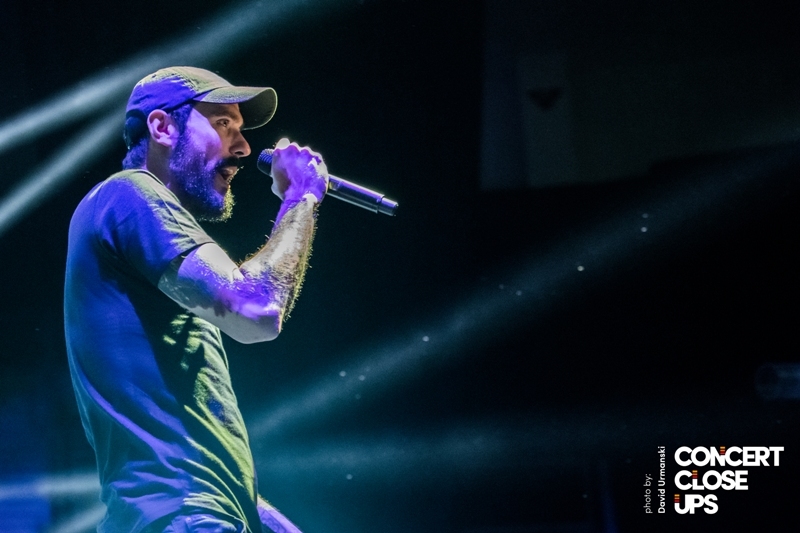 Founded in 1999 by guitarist, singer and songwriter Benjamin Burnley and drummer Jeremy Hummel, this American hard rock band known for angst-heavy lyrics has hit musical milestones that few rock bands could ever imagine or hope for in the face of a variety of challenges along the way. 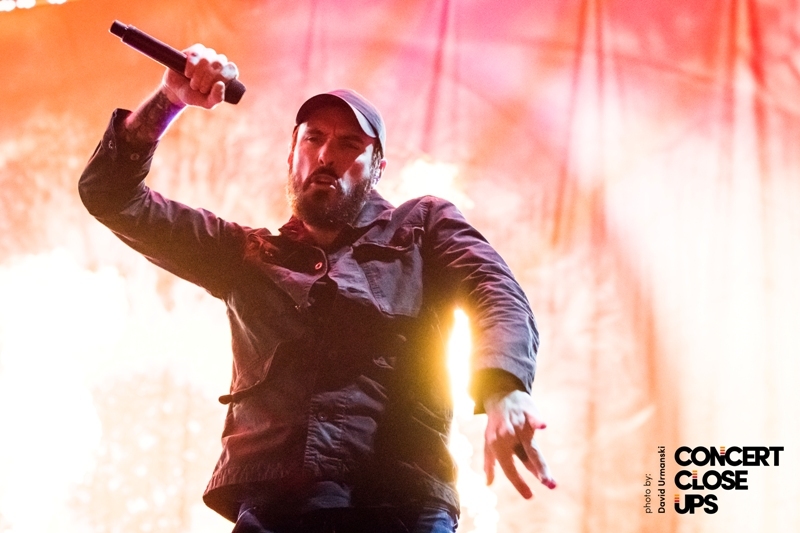 Despite an extended hiatus taken by Burnley in early 2010 as a result of a recurring illness, the frontman gave up on looking for a diagnosis to his health issues and decided to focus on recording and producing the band’s fifth studio album Dark Before Dawn. 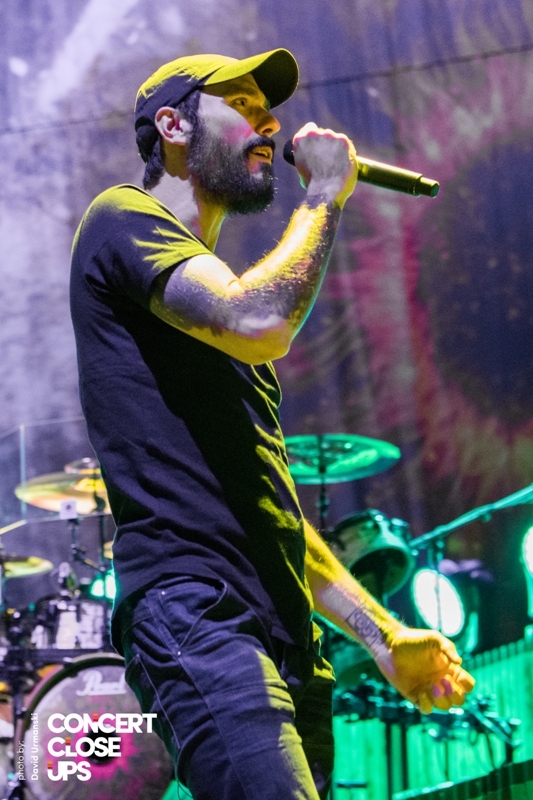 As a result, Breaking Benjamin regrouped in 2014 and moved forward as a quintet with all new band members and a drastically improved vocal dynamic with the additions of Keith Wallen and Aaron Bruch on back up vocals. 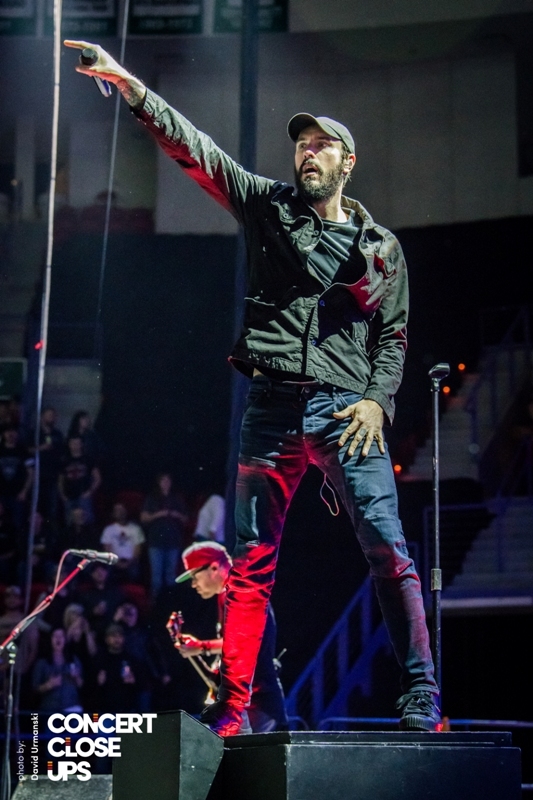 With the release of Dark Before Dawn in 2015, to date the band boasts three RIAA-certified platinum records, two gold records, several certified singles and numerous radio hits to include “Failure”, “Polyamorous”, “So Cold”, “Sooner or Later”, “Breath”, “Diary of Jane” and “I Will Not Bow” in addition to a number one record on the Billboard 200. 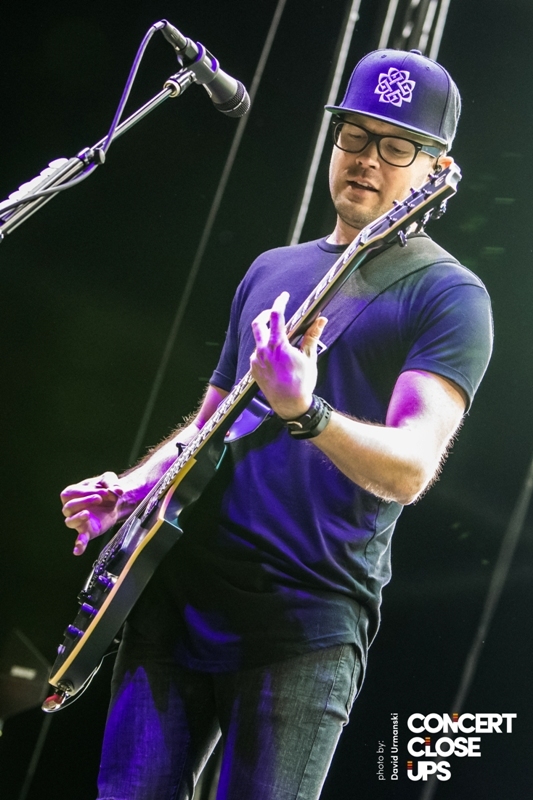 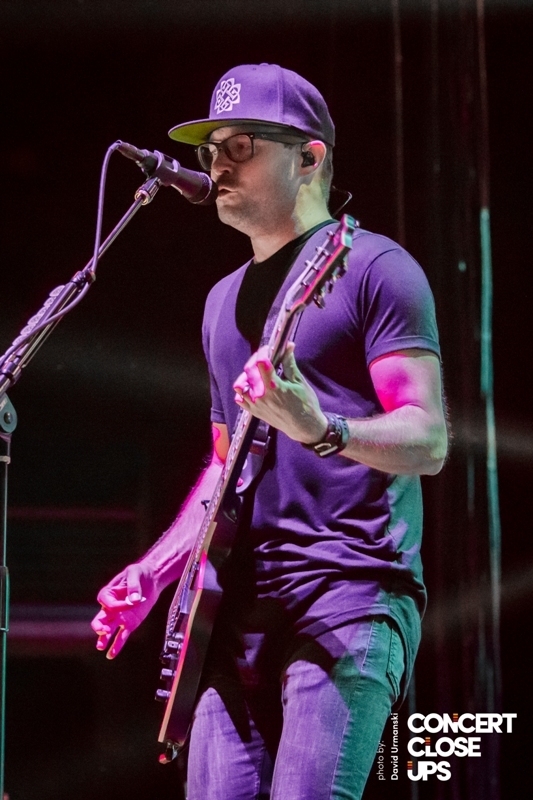 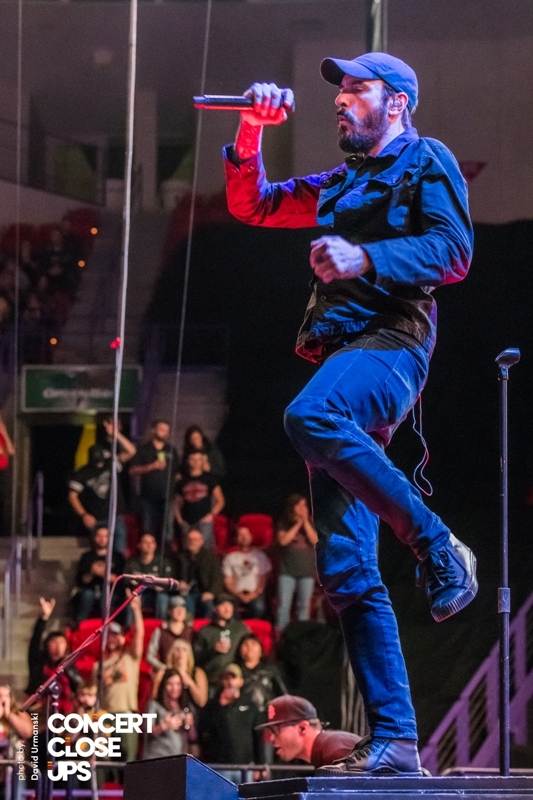 With five studio albums behind them and the latest self-produced work by Burnley, Ember, released earlier this year, it does not appear as though Breaking Benjamin will be slowing down anytime soon with the recent release of their first single “Red Cold River” and corresponding video while joining forces as direct supporting act on Five Finger Death Punch’s “And Justice for None” tour along with Bad Wolves and From Ashes to New. 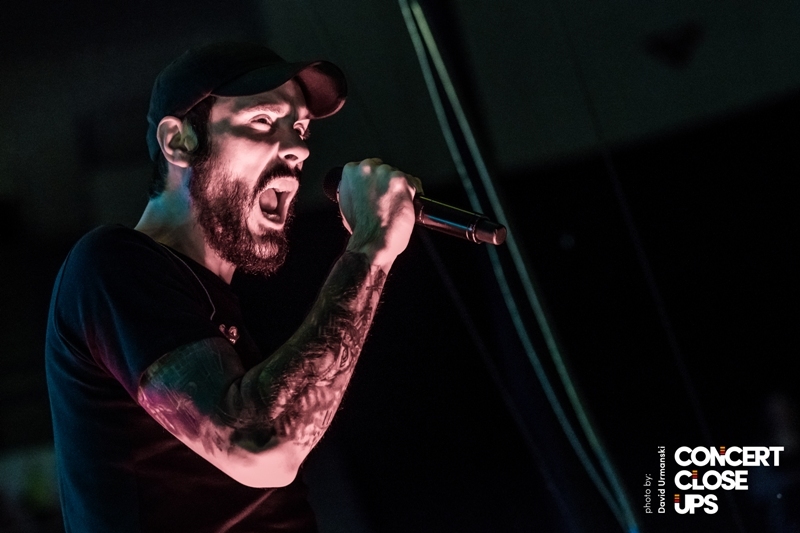 From the looks of their tour schedule, Breaking Benjamin continues to be a top-tier act on the upcoming music festival circuit and for good reason. 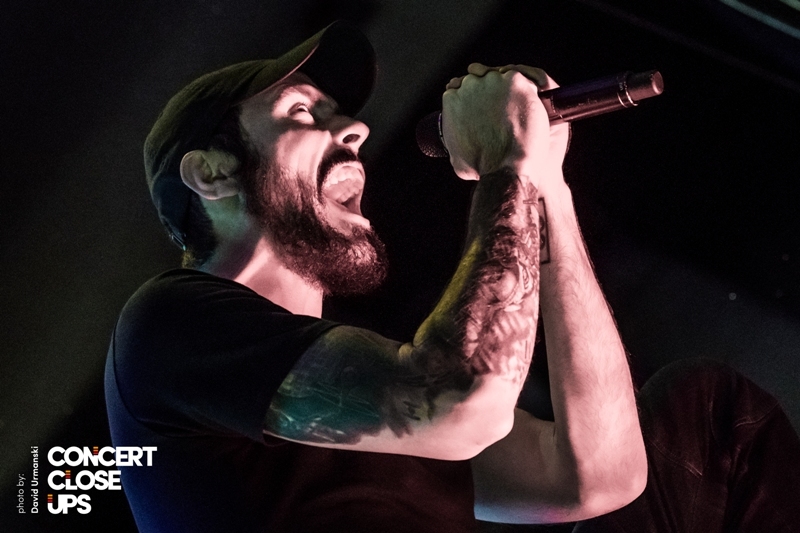 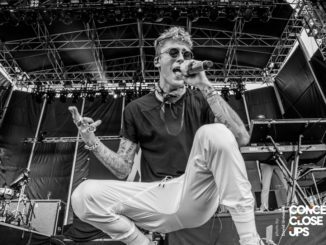 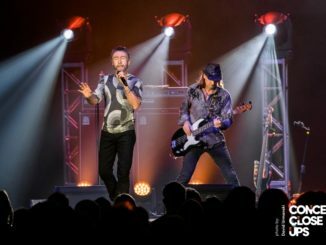 The band not only produces music with mass appeal but also delivers it in their live performance with piercing passion coming through in every vocal note, guitar bend and thump by the rhythm section. 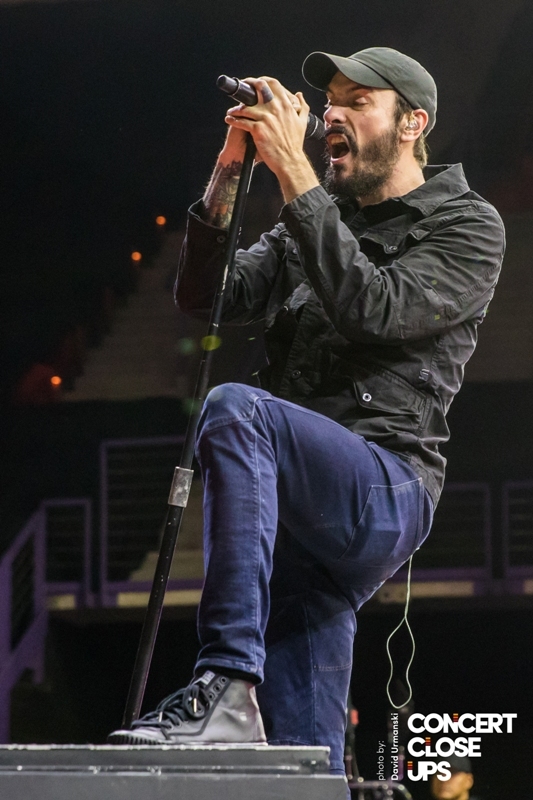 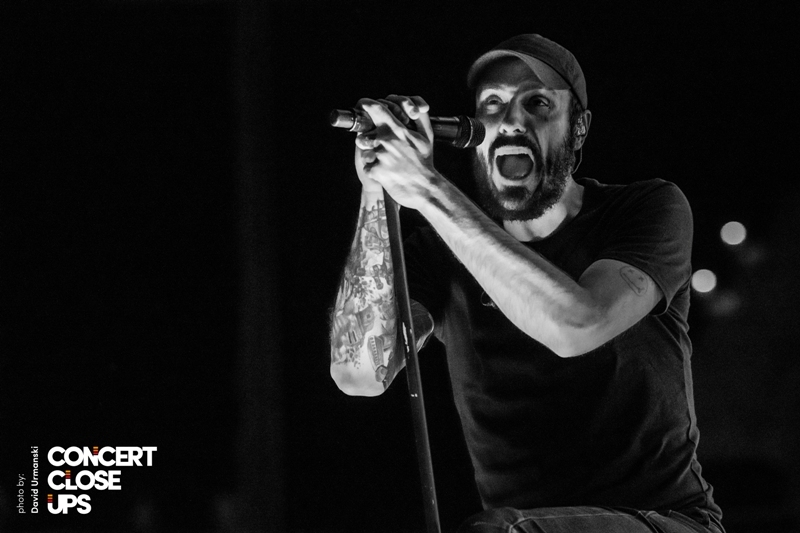 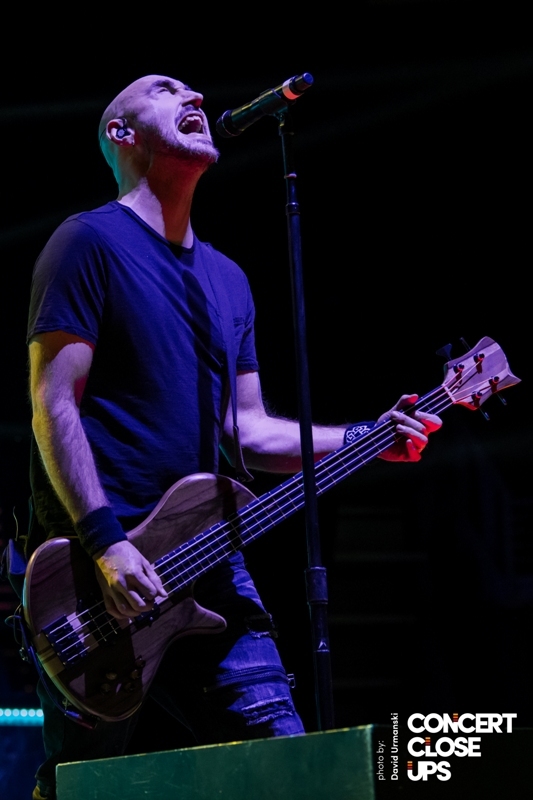 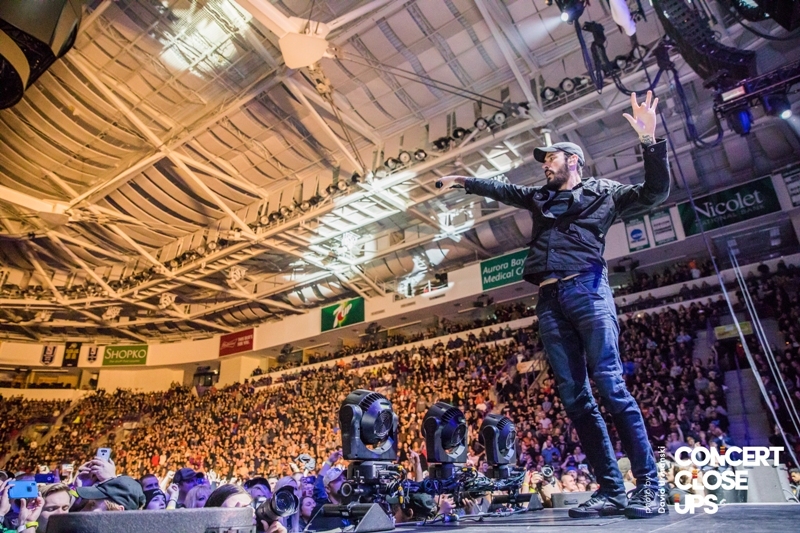 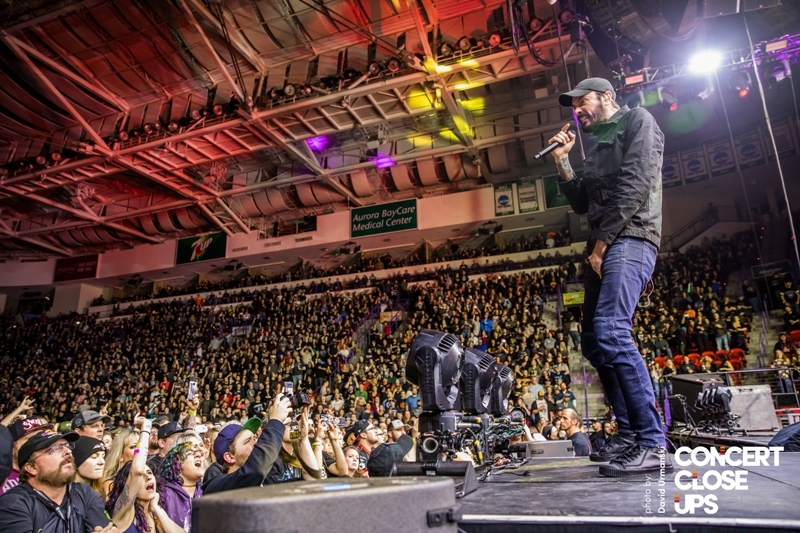 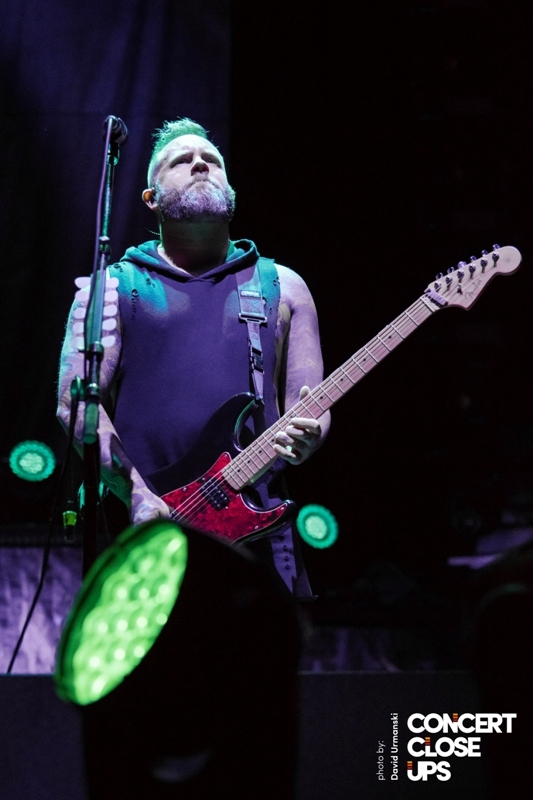 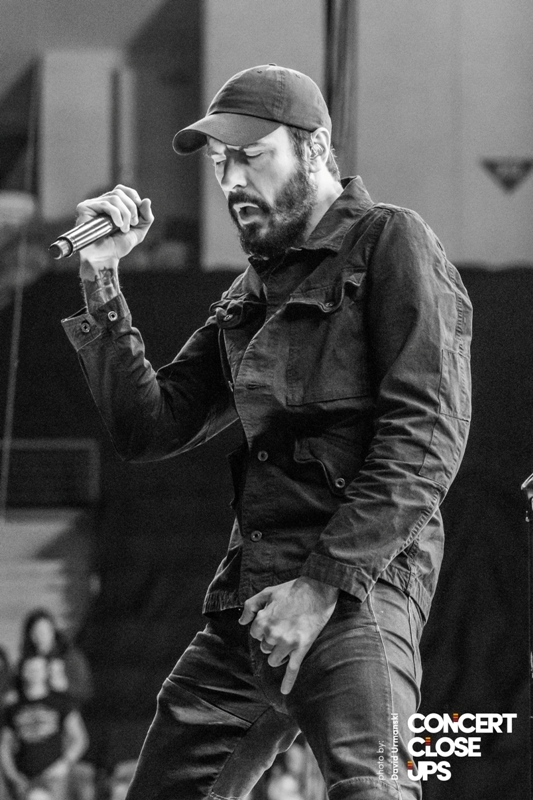 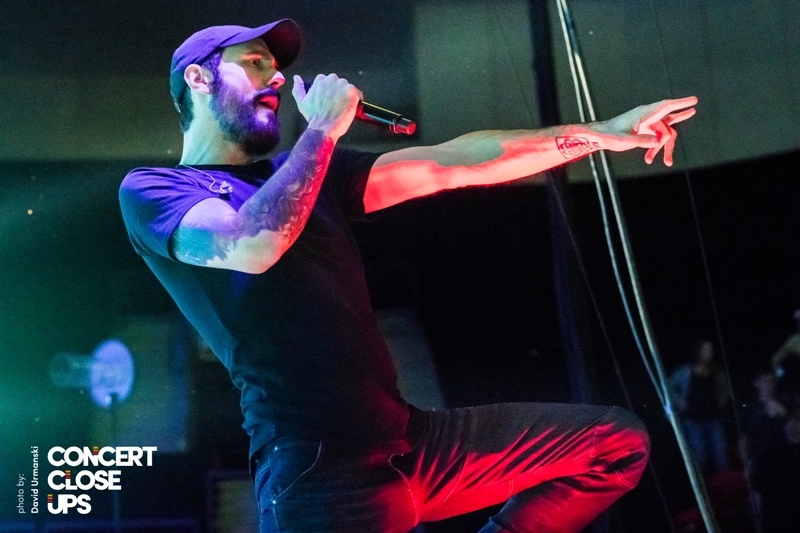 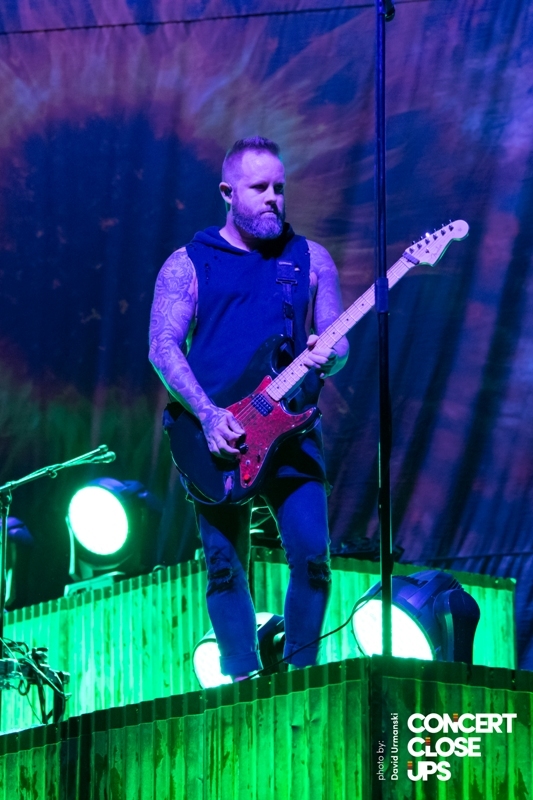 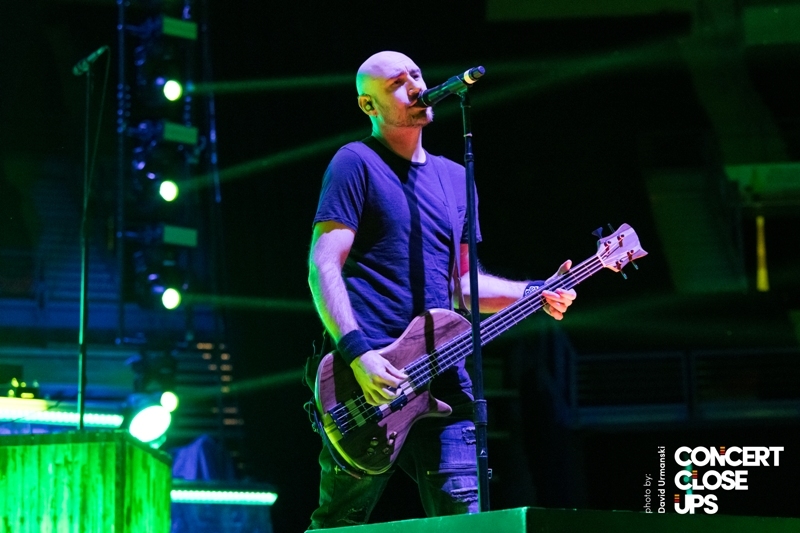 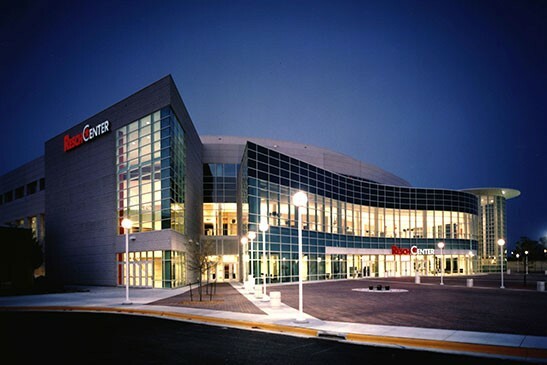 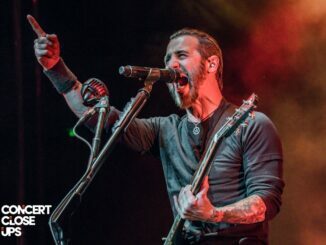 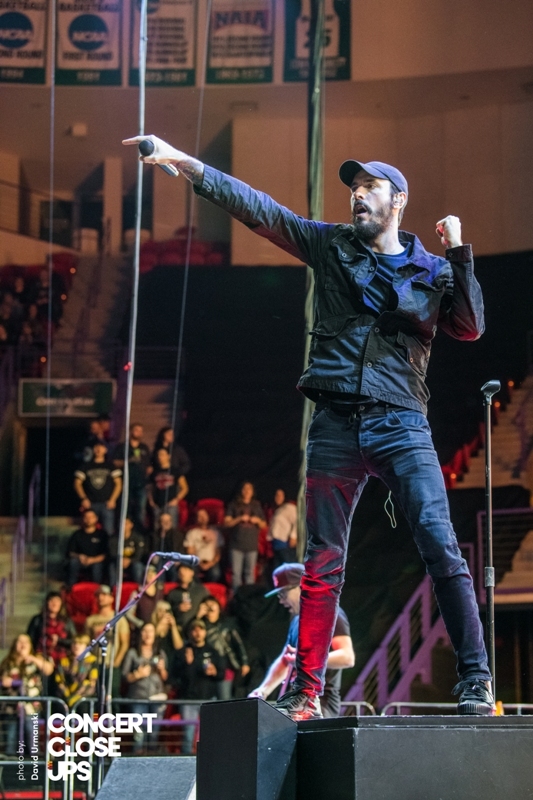 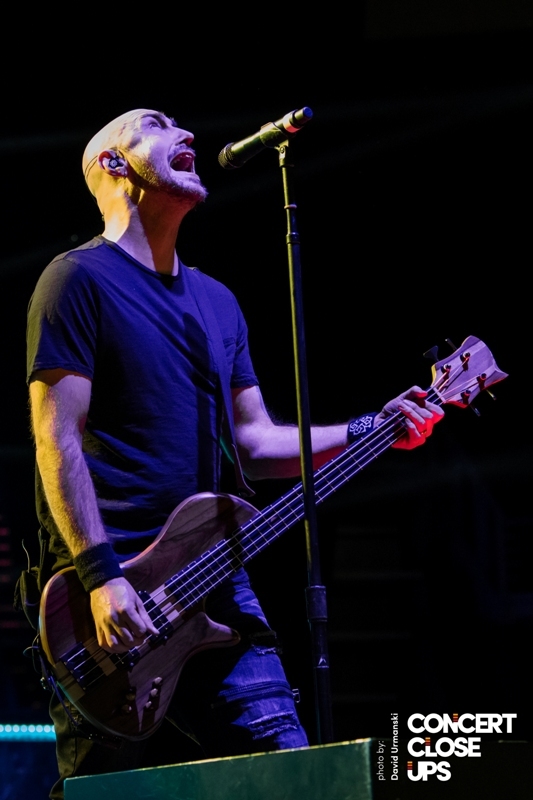 Despite having a cold, Burnley pushed through the performance to a sold out crowd and it was nearly impossible to determine which concert-goers where at the Resch Center in Green Bay Saturday night as primary support for Breaking Benjamin or tour headliner Five Finger Death Punch.